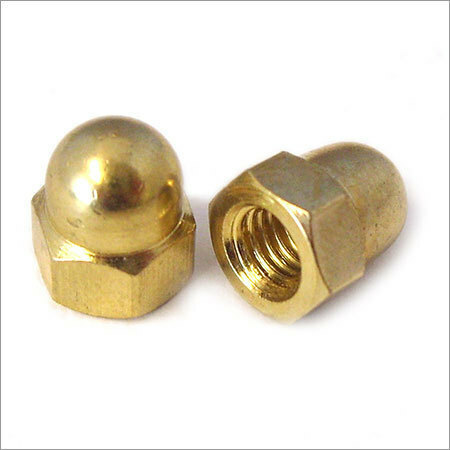 We, as a Manufacturer, Exporter and Supplier, offer excellence in the form of Brass Dome Nuts. They are made of high grade raw material procured from the vendors who strive to deliver consistent quality. They are sturdy, durable and corrosion resistant. These features make them popular not only in India but also worldwide. We comply with the highest standards and parameters set by industry.